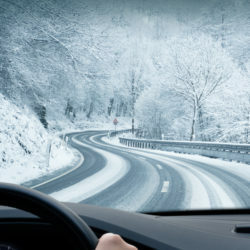 Bad weather can hit before you know it, so if you haven’t prepared your car for winter, put it on your to-do list. Checking tires and having them rotated, checking antifreeze and other fluid levels, and a basic tune-up can all help ensure your car is running at its best even if the weather turns bad. To minimize distractions, ask your passengers to take on tasks that aren’t driving – everything from setting the GPS to changing the radio station. This way, you can keep your eyes, hands, and mind on the road, maximizing your ability to drive safely. As state after state passes texting and driving bans, cell phones remain one of the biggest accident-causing distractions on U.S. roads. To check your phone or make a call, wait until you’ve reached a rest stop or another place you can pull over. Before you head out, double-check child safety seats and booster seats to make sure they’re secured properly to the vehicle. Many police stations and similar offices will check on child safety seats for free, and you can use the Internet to find one near you. Never forget to fasten your own seatbelt, and insist that every passenger in your vehicle do the same. Holiday driving can be risky. It’s important to plan ahead so you can enjoy a safer trip and a happier holiday season. If you need help after a car accident, contact the Law Offices of Richard A. Stoloff today by calling our Linwood, New Jersey office at 609.601.2233 or by filling out our convenient online contact form.